As someone once said, “the first four words of the Bible are some of the most sublime words ever written.” In fact, that first creation day contains mysteries that the mind of man will never be able to comprehend. In this feeble attempt, I want to highlight just a few of these unfathomable secrets. This is not a scientific paper as such, rather, it is theological which contains inherent scientific concepts. 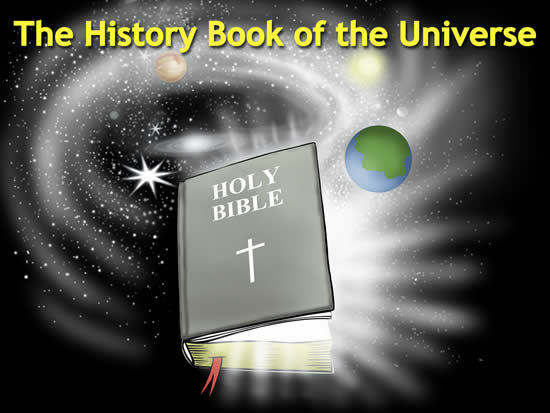 Obviously, what I will present to the reader are just my own beliefs and thoughts regarding some of the mysteries involved in God’s creation of light. In the beginning. This phrase denotes the element of time. Thus, it speaks to the origin of time itself. As a biblical creationist, I accept the fact that God as Creator exists outside the boundaries of time and His own creation. Here, in this verse, it alludes to the idea that God created time. To have time, matter must exist. God created. God is the “First Cause.” He is transcendent of His creation, that is, God exists apart from and not subject to that which He created. To the secular scientist, this is incomprehensible. The Hebrew word “bara” is here translated created. The Latin phrase for this word is ex nihilo, which essentially means, “out of nothing.” As others have pointed out, this word is only used in the context with God, never man. Contrary to secular science and the supposed Big Bang, there really was nothing. There were no quanta (energy particles) or matter. What an awesome God we serve! True are the words of the writer of the book of Hebrews, “For the word of God is quick (living), and powerful...” Yes, He spoke, and matter began to exist as did time. The heaven and the earth. Many Hebrew scholars say that the phrase, heaven and earth, is a merism. A merism is a term which means that two contrasting words denote the entirety or totality of a thing. The example given for it in a dictionary is, “I searched high and low.” In other words, he searched everywhere. So, in this first verse, the Bible declares that God created all matter which he would use to form the universe. The word vain in this verse is the exact same Hebrew word void as found in Genesis 1:2. One day, close to where we live, I stopped and watched a chain-saw artist. He began with a rather large log, but after he finished, it became a beautiful work of art. It is the exact same thing here in this passage. God started with this amorphous mass and began to fashion this beautiful “pale blue dot” as the cosmologist Carl Sagan once condescendingly described it. And darkness was upon the face of the deep. In the beginning of creation, which also entails the inception of time, there was nothing but a massive mass of water. At least, that is the inference one gets from these first two phrases in verse 2. God had not yet acted upon this newly created matter. There was nothing but darkness. Scientists today routinely speak of “dark matter,” but I believe that concept was only valid once in earth’s history. And the Spirit of God moved upon the face of the waters. The Hebrew word “moved” is critical in our understanding this passage. The word can be translated with several different applications. For instance, it may be interpreted as brood, flutter, shake, vibrate, and even can have the meaning of to be relaxed. I am very much interested in the dual application of shake/vibrate to that of being relaxed. In the Big Bang theory, its premise is that there were some quantum fluctuations in which energy was converted to matter. In physics, a “quantum” is a discrete quantity or packet of energy. Whereas, in the Biblical model, matter was created first and then energy. God provided the initial energy source to vibrate and shake the water molecules. This “shaking” created cavitation bubbles. These are vapor cavities or voids formed within a liquid. When there is sufficient pressure acting upon these bubbles, they collapse. The laws of physics and chemistry state that pressure and temperature are directly proportional. This merely means that when one increases, the other also increases. These “collapsing bubbles” will create enormous amounts of heat energy. Scientists have been able to actually measure the heat generated from the collapse of just a single cavitation bubble. They have recorded temperatures in excess of 20,000 degrees Fahrenheit which is far hotter than the surface of the sun. In this process of heat formation, a fourth state of matter is produced, namely, plasma. It is the plasma that ionizes the trapped gas contained within the bubble which will then emit energy in the form of light. There is a rather noteworthy inference found in Isaiah 45:7. God states, “I form the light, and create darkness.” The word create is the same Hebrew word “bara” found in Genesis 1:1. The Hebrew word translated form is “yatsar” which means: to press or to squeeze. This perfectly agrees with what has already been stated, that is, God created matter which was void of light. He then formed the light by means of pressure (cavitation). What I just described is but a summary of a natural phenomenon that scientists are still investigating. Their study is based upon what is known as sonoluminescence, that is, light produced by sound or shock waves. In fact, some studies have suggested that even fusion may occur within these extremely high temperatures. One study referred to it as a “star within a jar.” Fusion is when two hydrogen atoms combine to form a helium atom and produces energy and releasing heat and light. Fusion is the process whereby our sun and all the stars operate. 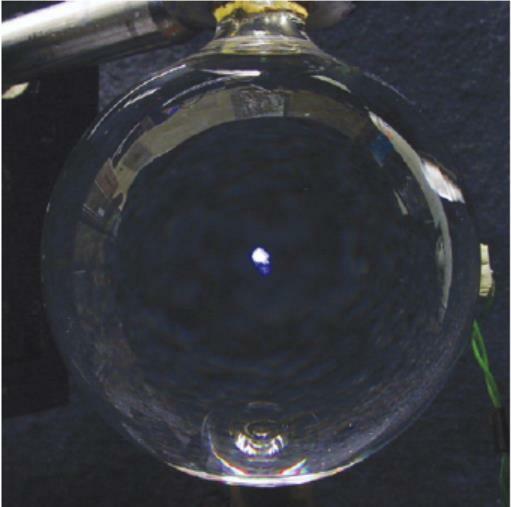 A sonoluminescence bubble. Sonoluminescence is the phenomenon of the appearance of a flash of light in the collapse of cavitation bubbles, born in a liquid by a powerful ultrasonic wave. A typical experiment on the observation of sonoluminescence is as follows: a resonator is placed in the water tank and a standing spherical ultrasonic wave is created in it . With sufficient ultrasound power, a bright point source of bluish light appears in the center of the reservoir – the sound turns into light. And God said, Let there be light: and there was light. We now come to the very crux of the matter (pun intended). When the Spirit of God began to move over the waters, I believe this action initiated an extraordinary chain of events. Initially, what was just described occurred. Additionally, unimaginable temperatures were produced which triggered massive fusion reactions. This is the basis for the origin of the heavier elements. This heat also “excited,”or elevated the electrons to move into a higher energy level. Then the command came, “Let there be light.” At that point, those electrons fulfilled the second part of the definition of “moved,” that is, “to be relaxed.” When this happened, they became more stable by dropping to a lower energy level, thus emitting photons of light. Whether it was this process, or the collapse of the cavitational bubbles described previously, the final result was the creation of light. Indeed, God might have used both. When our awesome God spoke only four words, that matter which he had created had to respond. This reminds me of a vintage TV advertisement of a brokerage firm: “When E. F. Hutton talks, people listen.” The power of the spoken Word is beautifully illustrated in Mark 4:39 which is very reminiscent of the passage before us. And God saw the light, that it was good: and God divided the light from the darkness. After God created light from the original matter which was enveloped in total darkness, He then separated the light from this dark matter. Oftentimes, we define darkness as the “absence of light.” While this may be true, the original darkness was the origin of light. This agrees with the words made by Paul: “For God, who commanded the light to shine out of darkness, hath shined in our hearts...” (2 Cor.4:6). As a result, the original electromagnetic spectrum, of which visible light is but a small portion, was made as a consequence of God’s energetic action (moved) upon His initial created matter and by the command of His Word. I find it interesting that on this first creation day, God separated physical light from physical darkness. There is also a day marked on God’s celestial calendar which Jesus referred to as the Last Day. The Bible also refers to it as the Day of Judgment. So, there is something that is common to both the first day and the last day. In both, there will be a separation. However, on this last day, God will separate spiritual light from spiritual darkness. And God called the light Day, and the darkness he called Night. And the evening and the morning were the first day. Isn’t it amusing that even atheists, who deny and hate God, are bound to use the very names which were established by Him? Also, ironic is the fact that they “hate” someone whose existence they vehemently deny. The evening and morning is an obvious phrase used to denote a 24 hour day. There are only two factors required for this to happen: the rotation of the earth on its axis and a light source. On this first day, I believe that God founded our physical laws and the four fundamental forces. Also, he utilized these laws to produce all of our naturally-occurring elements. I don’t believe that God acts as a magician. However, He can “speed up” all processes to accomplish His purpose and will. That being said, remember that God is transcendent and is not bound by His own creation. Hopefully, this short study on the creation of light will be of benefit to my fellow biblical creationists.